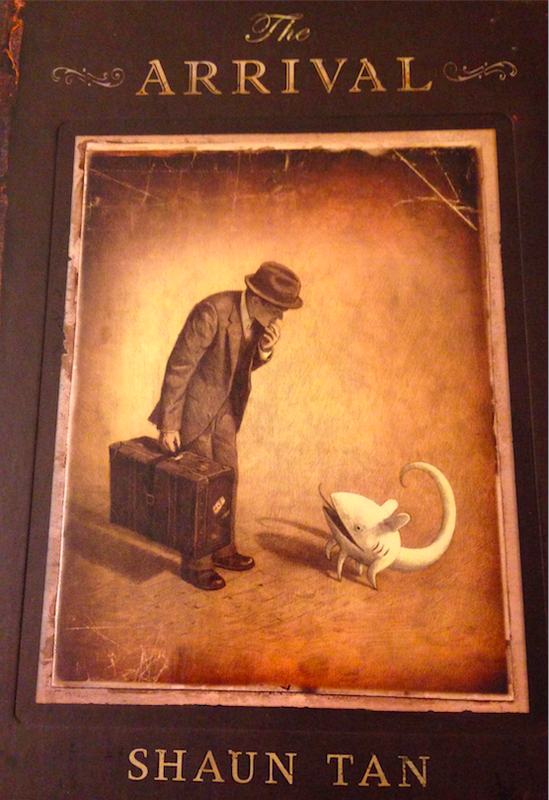 Synopsis: Through illustrations that are simultaneously whimsical and realistic, Shaun Tan uses only pictures to depict the story of a man who migrates to a new land in order to create a better life for his family. Context/Themes: In this book, much of the story is left up to the reader’s interpretation. Though the ambiguity inherent in a story without text might make some readers a bit hesitant at first, having very explicit instructions about how to read this book could help reduce any resistance. The pictures, while wonderfully detailed, lack any indication of an exact location or time period, thus presenting universal themes about change, fear of the unknown, belonging, and relationships. In the classroom, teachers could ask students to respond to the story through a creative writing prompt – possibly putting a scene into words or writing a letter from one of the character’s perspectives. Having students compare their responses could lead to a fascinating discussion about how people interpret stories differently and would require students to refer to the pictures in the story to support their interpretations, which would be good practice for close-reading skills (except with images).